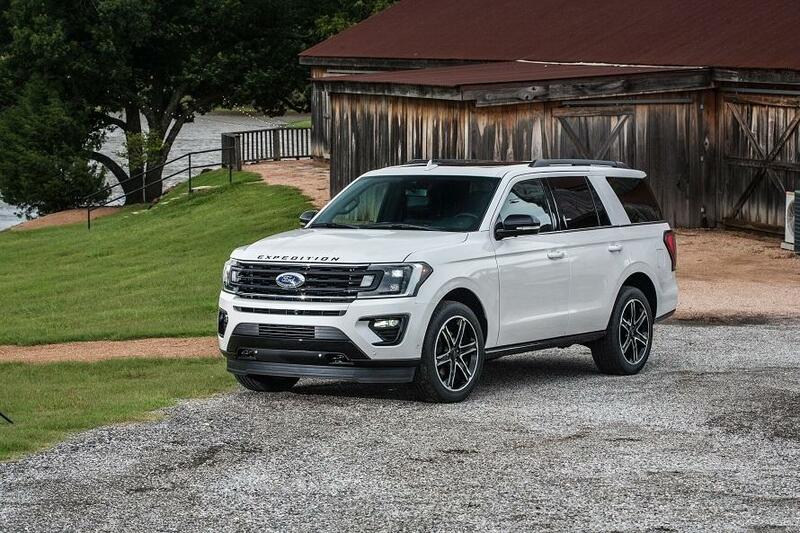 Get to know the 2019 Ford Expedition, an exciting full-size SUV made to accommodate all your needs. A spacious interior, ample powertrain, and advanced technologies combine with everything that makes Ford SUVs legendary. Even if you’re already familiar with the current generation, when you visit Southern California Ford Dealers, you’ll notice some key changes with the 2019 model year. Seeing this SUV in person is easy, considering the excellent new vehicle selection at your local Southern California Ford Dealers. Visit one today. Most equipment from the 2018 model year carries over to the 2019 Ford Expedition. Some changes improve this SUV and offer more variety, so you should know about them. Models which previously had dual-zone electronic temperature control now have tri-zone electronic temperature control. That should make rear passengers much happier. Instead of Sync Connect, the SUV can be outfitted with FordPass Connect. Two new paint colors, called Agate Black Metallic and Silver Spruce Metallic, are now available. XLT models gain some unique seating material, setting them apart from the other trims. Platinum models gain bright roof rack rails and end caps for the standard equipment. A Special Edition Package comes with several cosmetic and utilitarian upgrades. The SUV rides on 22-inch premium black-painted aluminum wheels, giving it a more athletic appearance. The package also includes a 360-degree camera system with split view and washers, enhanced active parking assist, the heavy-duty trailer tow package, cargo package, plus LED headlights and fog lights. You’ll never feel like the Ford Expedition can’t handle your daily life, plus fun outings on the weekends. Whether you go for the standard wheelbase or an extended wheelbase MAX model, the interior can easily transport people and plenty of gear at once. The standard 3.5-liter EcoBoost V-6 engine helps with the capabilities of this SUV. It puts 375 horsepower and 470 lb.-ft. of torque at your command, providing up to 9,300 lbs. of towing capacity with the heavy-duty trailer tow package. Standard stop-start prevents the engine from idling as you sit at traffic lights or anywhere else, reducing fuel consumption greatly. Fear no trail conditions with the FX4 Off-Road Package. It adds essential equipment to the SUV, like 18-inch magnetic metallic-painted cast-aluminum wheels, underbody fuel tank protection, a heavy-duty radiator, off-road shocks, and an electronic limited-slip differential. 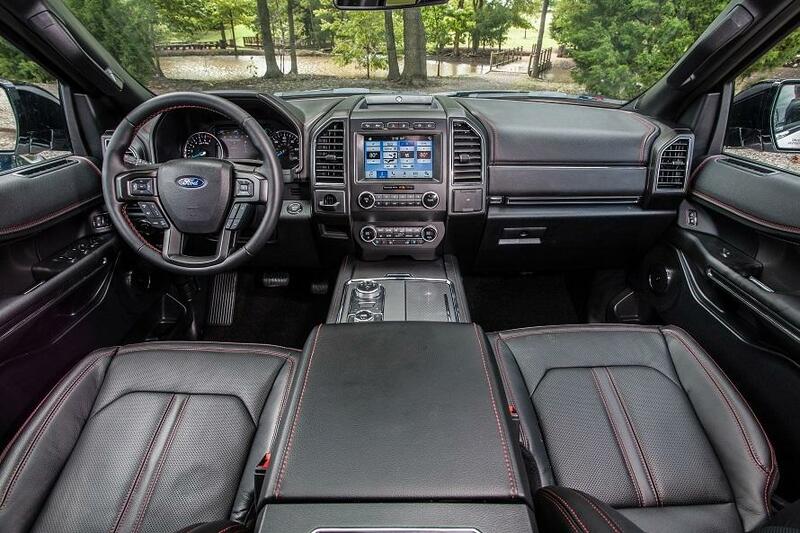 To help you manage this big SUV, the Ford Expedition can be outfitted with many advanced technologies. Each system is easy to use, so even in an emergency you know what to do. Adding the Blind Spot Information System means you enjoy coverage even while towing a trailer. That means you’ll know if there’s a vehicle out of sight by the SUV or trailer, so you don’t change lanes and cause an accident. With the available Pro Trailer Backup Assist you will be able to navigate in reverse more intuitively. Instead of turning the steering wheel, you use an innovative knob, simplifying the process. Check out the 2019 Ford Expedition today by visiting your Southern California Ford Dealers.